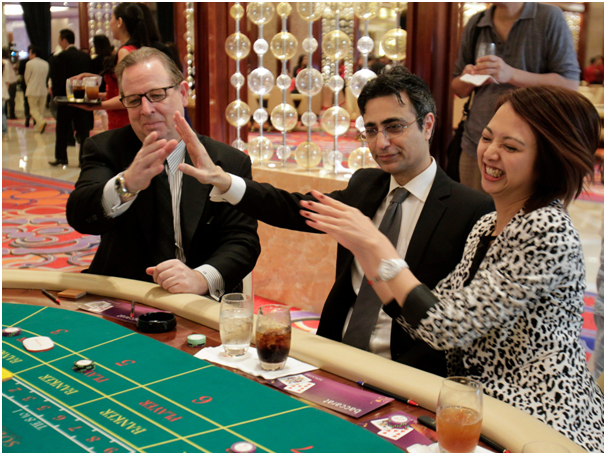 You must have seen that real casinos offer a luxurious gaming facility to the high rollers. Also known as VIP gaming lounges at the casino these sharks or high roller players stake their high limit bets on various table games as well as pokies of their choice and win big. Many land based casinos offer certain levels for these high rollers as members of the casino like Diamond, Gold, Silver or may be offer tier levels and arrange high roller lounges accordingly. But the treatment is same for all of them and that is loads of lavish life, free drinks and meals, private rooms to relax and play, private game tables, luxurious spa and swimming pool, own business suites and much more. Day dreaming right..no worries these lounges do exists in real world too and here are the best high roller lounges that you can find in Australian real casinos. 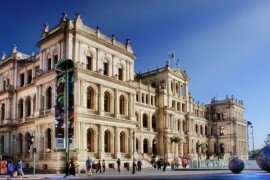 Adelaide Casino is a large casino and recreational venue on the north edge of the Adelaide city centre. 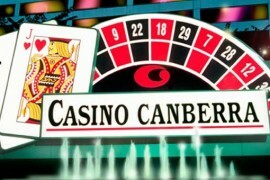 The casino offers 90 gaming tables and 950 gaming machines as well as several bars, function areas and restaurants. 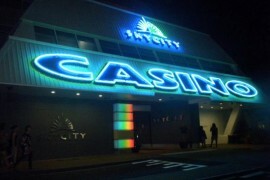 Operated as part of the Skycity Entertainment Group, it is the sole licensed casino in South Australia, regulated by the Independent Gambling Authority and the Liquor and Gambling Commissioner (Consumer and Business Services) under the Casino Act 1997. The high roller lounge offers three exclusive lounge mainly the Grange, Platinum and Black Electronic Gaming Lounge with luxurious gaming facilities. Located on the first floor of Adelaide Casino, perfectly placed with exquisite views over North Terrace you’ll enter a world of luxury and comfort in this exclusive lounge for high-value Table Games specially for high rollers. Combining an opulent gaming facility with a dedicated personal host service, the Grange Room offers you the ultimate high roller Table Games experience. In this Grange Lounge you can enjoy exclusive facilities like a Private balcony and outdoor area to view the surroundings, Business Centre with PCs, Wi-Fi and printer to have meetings, Plasma TVs to watch live matches, Full bar for exotic drinks, Massage chairs to relax yourself, and private gaming rooms or tables to hold tournaments, play match games and have fun. The Platinum Lounge exclusive for high rollers offers a dedicated host service, where you can have a personalised gaming machine experience, ensuring you are provided with a quality of service that you expect as a valued gaming machine member. You can enjoy at your own private balcony, bar and lounge area, and can relax and enjoy exclusive and luxurious surroundings. Black Electronic Gaming Lounge is also for high rollers that guarantees you full privacy and luxury. You will be entitled to all Black services and benefits with your own gaming salon, access to private lounge area, 24-hour personal hosted service, your own private smoking balcony. Also you can avail promotions and special offers with premium gaming facilities, Complimentary à la carte and additional selection of complimentary beverages as well as your participation in great events and casino functions. Star Casino in Sydney Australia is operated by The Star Entertainment Group (formerly known as Echo Entertainment Group). For high roller lounge you can have full lavish life with newly refurbished suites and saloons. 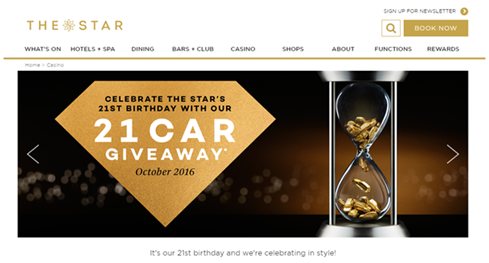 The Star offers Absolute Rewards Pearl members and higher the very best of premium gaming experiences in Sydney. 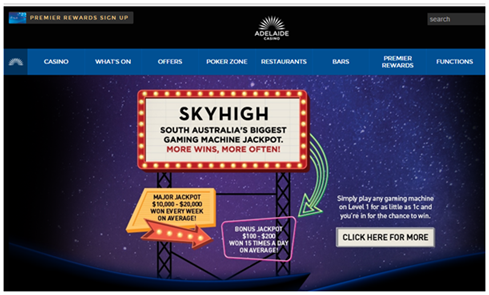 To access their Sovereign Lounge you can just fill the application form for membership as an International, interstate or local member or this form can be obtained in person from the Absolute Rewards Desk or premium gaming entries. Once your application is received, it will be reviewed and processed by The Star. Eligible members will be forwarded more information in regards to premium/high roller membership access and benefits. 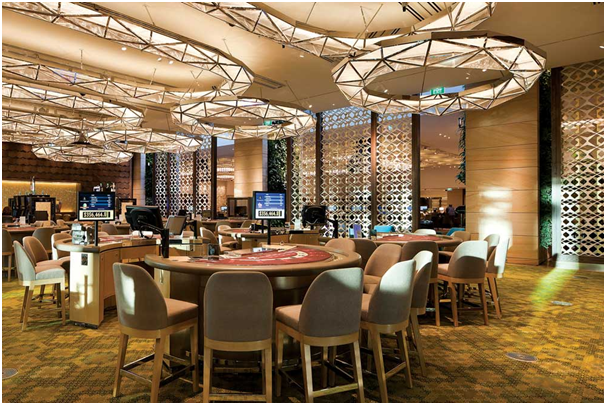 When you enter this lounge specially for high rollers you will find young men betting and playing on various table games like high stakes baccarat in The Star’s elite Sovereign Room. These high rollers are armed with the coveted “black” cards or the ultimate “diamond-tier” membership status, playing blackjack, high-limit pokies and baccarat betting more than $100,000 per hand. They make big wins too with over $200,000 in a few minutes of playing only. In this lounge you can enjoy free drinks or so as to say ¬unlimited alcohol and can eat for half price or free in casino restaurants. It also offers access to private jets, to get free show tickets, luxury rooms and gifts. 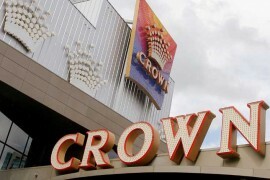 First opened in 1997, Crown Melbourne is a large integrated resort and has a casino, three hotels, function rooms, award winning restaurants and shopping and entertainment facilities. 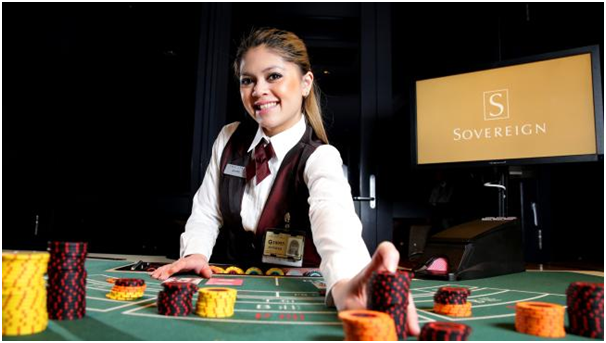 Crown Melbourne is licensed to operate 2,628 electronic gaming machines and 540 table games and has High Roller lounge too. The Mahogany Lounge gives high rollers entry to some of the most competitive casino programs and table limits in the world, with high-limit games of baccarat, roulette, blackjack and Pai Gow available along with a selection of pokies. Forget the wagering requirements enforced it the public casino, gaming in the Mahogany lounge opens your bankroll up to a maximum bet of $300,000. The Mahogany Lounge is located on the first level of the Crown Towers hotel and has been flawlessly designed by the world-renowned architectural and interior decorating firm, Bates Smart. The level of design and opulence has been compared to that of a six star resort and you can expect nothing but the best of the best from the moment you enter through the atrium. Pokies at the casino. It also offers an intimate dining room, expansive bar and a large outdoor terrace that provides panoramic views over the gorgeous Yarra River out towards the city. 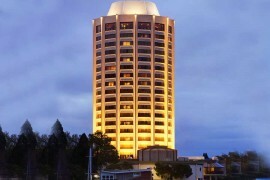 Some alcoholic beverages and bar snacks are complimentary, while the private pokies lounge also offers free tea, coffee and soft drink. 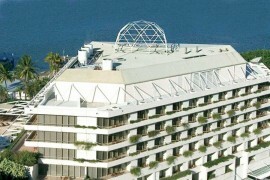 Jupiters casino is connected by skywalk to the Gold Coast Convention and Exhibition Centre, and by monorail to Oasis Shopping Centre, this casino and hotel sits on an island in Dunlops Canal. It’s a 9-minute walk from the beach. This popular casino offers high roller lounge too. You’ll find more than 70 table games and over 1,600 gaming machines on offer and all on one level. As a high roller you can enjoy great service within a luxurious setting, with some of the Gold Coast’s favourite dining and nightlife options in their club lounge. There are three high roller loungers here at the Jupter’s. The Suite, The Sterling Suite and The Club. This lounge offers 24 hour gaming exclusive to Absolute Pearl and High rollers. With full privacy and complimentary beverages and food buffet this lounge boosts of 276 gaming machines and Keno facilities. The Suite is located level above the main gaming floor at the casino. Besides these high roller lounges , you can also find high roller rooms at Crown Sydney Casino, Warwick farm, Treasure Casino, and at upcoming Queens Wharf casino. Remember to access any of these high roller lounges you need to be a member of the casino and for that you need to contact the casino staff or fill the required form and get your high roller status enrolled for all such benefits.